We all just get one set of eyes and we shouldn't take it for granted. There are various things we can do to take care of our eyes and keep them healthy. Eat Healthy: Good eye health begins from the inside. A well-balanced diet that includes omega-3-fatty acids, Vit. C, Vit. E and zinc help to keep the eyes away from diseases. The best way to achieve this by indulging in green leafy vegetables, fish, nuts, eggs, citrus fruits and much more. Avoid Smoking: It is a fact that smoking is injurious to health. Smoking can not only affect the lungs and blood vessels but also the eyes. It can cause cataracts, cause macular degeneration and even damage the optic nerve which is responsible for carrying signals to our brain for the images we see. It is best to not just avoid smoking but to try quitting it. Wear safety eye gear: If your occupation involves managing chemicals or hazardous substances please make it a point to wear the safety eye glasses or gear provided by the industry. Wearing protective glasses can save you from damaging your eye during accidents. Wear protective gear while playing sports to keep the eyes safe from any injury. Use good quality sunglasses: Invest in a pair of good sunglasses as they protect you from the harsh ultraviolet rays of the sun. Most glasses these days block 99% to 100% of UVA and UVB rays. This helps in reducing the chances of developing a cataract. 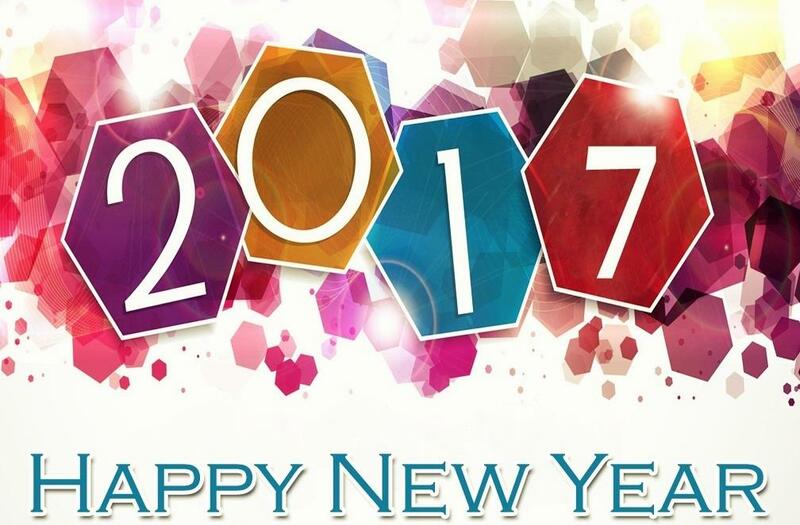 Regular eye check-up: Make sure to visit your eye doctor once in 6 months. 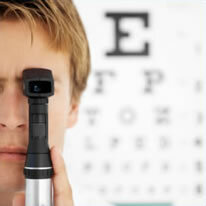 Get a thorough eye exam done to be sure that the eyes are healthy. Limit the time on electronic devices: Try to cut down excessive time on laptops, mobile phones, etc. If you work revolves around a computer screen all day long, then it's best to take few breaks and look away from the screen time to time. Also, while working on a computer make sure your eyes are at a level with the top of the monitor. Have proper lighting: Make sure you have proper lighting in the room to avoid eye strain. 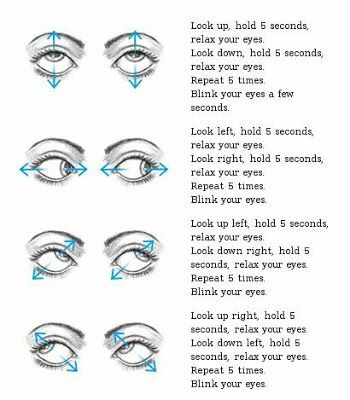 Perform eye exercises: Perform eye exercises once a day to keep the eye muscles strong and from fatiguing.